Fashion Knitwear Design has a highly supportive course structure that embraces individuality. The course has unrivalled facilities, knowledgeable and passionate staff and fantastic industry connections. “The freedom to explore your chosen specialism and developing a project that is personal to you. There are so many people from different backgrounds, with a diverse range of interests and specialism; NTU fully embraces this individuality. I find the lectures and seminars from visiting industry professionals incredibly informative and inspiring. “The knitwear facilities at NTU are unrivalled by any UK university in my opinion. Whilst investing in cutting-edge industry standard technologies, such as the Shima and Stoll power knit machinery, traditional machinery such as the dubied handflat machines are preserved, as they are in industry. What motivated you to return to University after spending five years in industry? 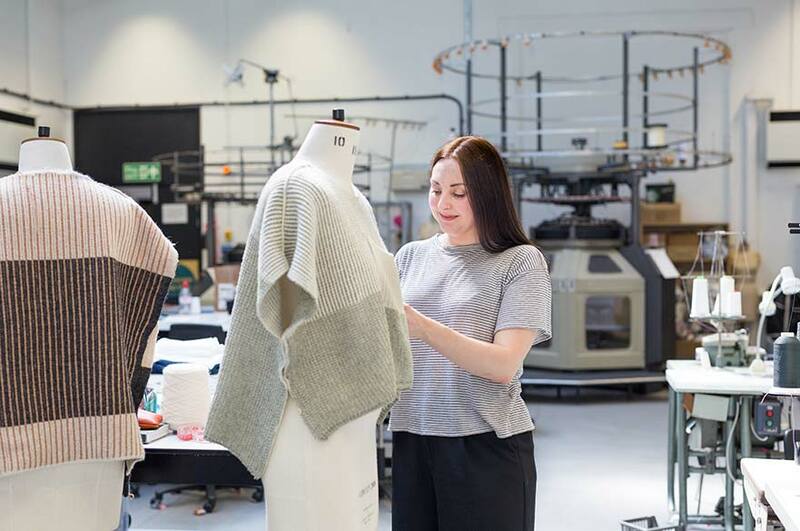 “During my BA at NTU, I was very fortunate to have gained invaluable experience in knitwear design and development through internships during my placement year. My first full time role after graduating was at Karen Millen, in their Product Development department for knitwear and jersey where I spent just under three years. 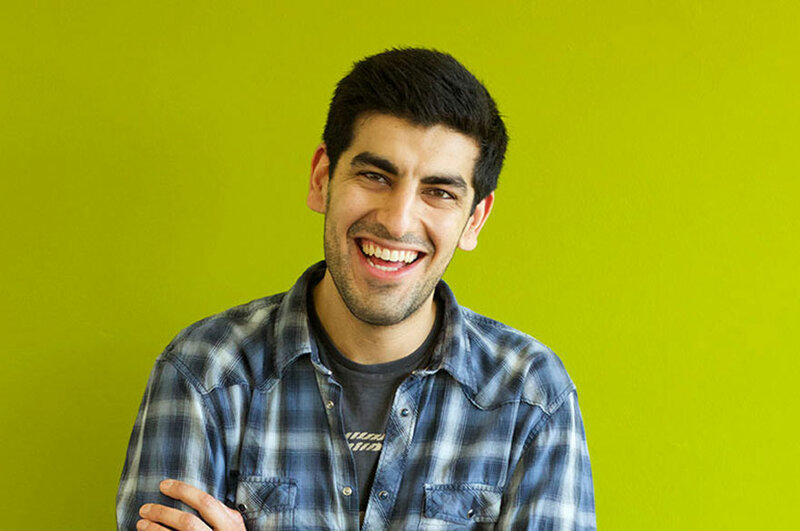 “Following this, I held roles in design and development at Calvin Klein, Eskandar and TOAST. I gained a lot of experience learning about the realism of designing and developing garments, right from the design sketch and taking this through to delivering product to retail. “As a person who has always been passionate about beautifully-made textiles and garments I became increasingly frustrated with the detachment that designers in industry have with the people and processes behind the product that they are designing, and also the speed at which garments are churned out. Can you tell us a little bit about being a Paul Smith scholarship recipient? 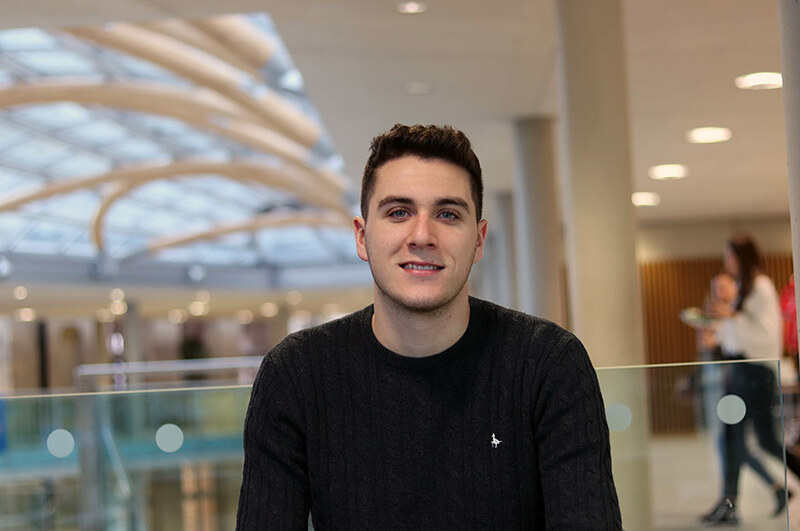 “The Paul Smith Scholarship scheme was a key reason for me returning to NTU to do my Masters. Firstly, going to Japan has been my dream from a young age. I have always been fascinated with and inspired by Japanese culture, design and geography. 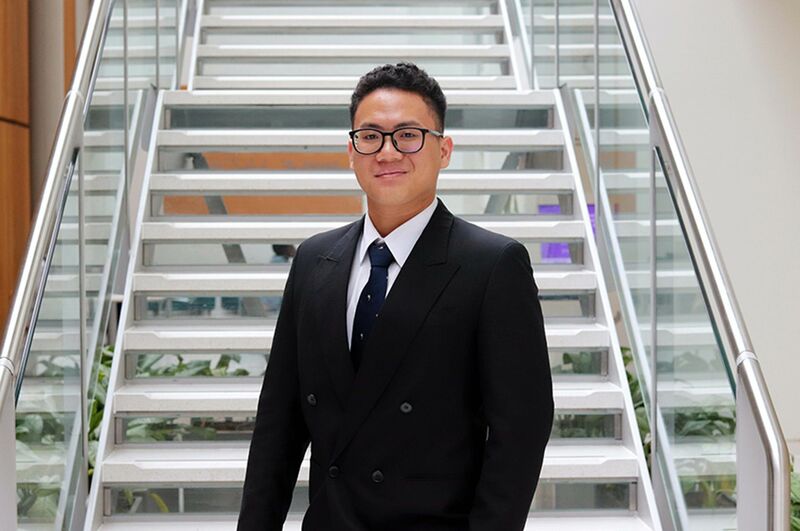 “As a creative person who is inspired by the experience of physically immersing myself in other cultures, I knew that I would gain great inspiration and motivation by having the opportunity to spend six weeks in Japan and learning in different ways at Bunka Fashion College.